PRIMEVAL PREDATORS! 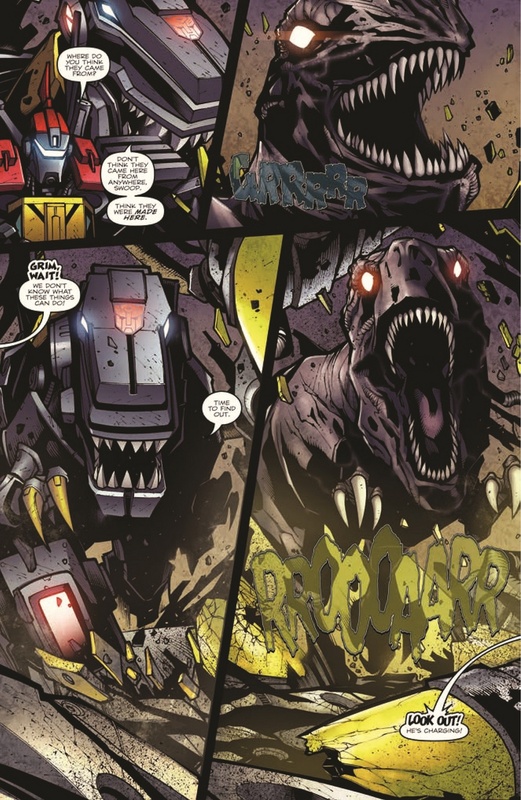 The DINOBOTS have stumbled upon some of SHOCKWAVE’S old experiments… now they are running rampant across the Cybertronian underground. 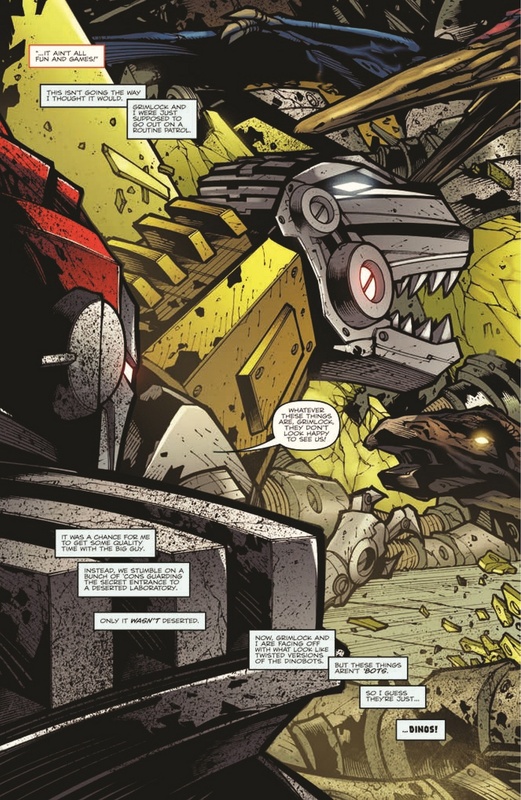 It’s up to GRIMLOCK and SWOOP to subdue the enemy! 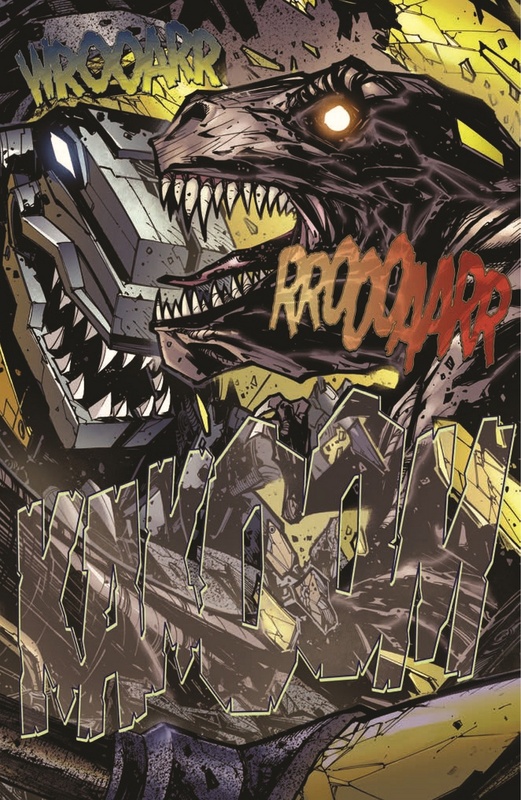 But with pressure mounting and his foes wreaking havoc, can GRIMLOCK keep his own rage in check? Data related to the release of this issue. Info on the print run and covers for this issue. 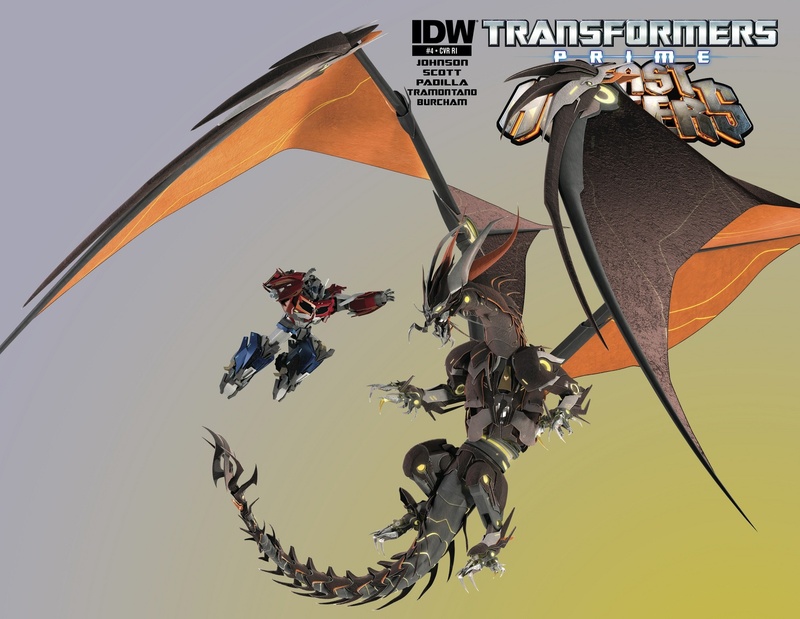 Incentive Description Transformers Prime: Beast Hunters #4 features one incentive cover. 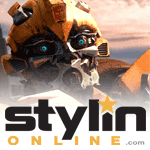 One copy of the incentive cover was provided for every twenty-five copies ordered through Diamond Comic Distributors. Comic Book stores were also able to order subscription covers, with the intention that these covers would only be provided to customers who place the issue on their "pull" lists. People that worked on this comic. 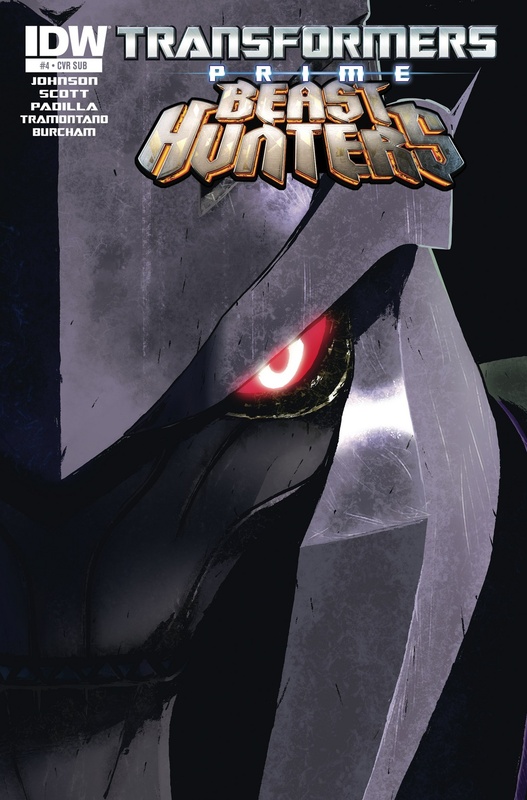 After a quick read last month, the hope was that Beast Hunters #4 would recapture the story elements captured in the first two issues of the series. No such luck…. 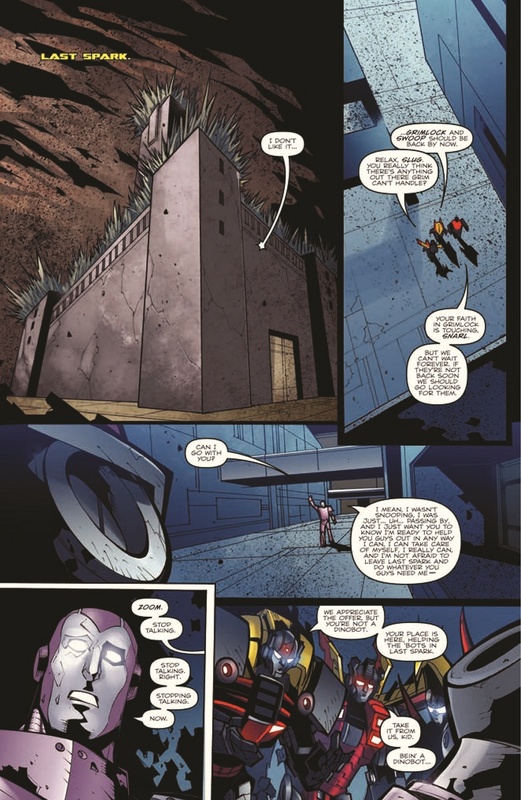 Last issue, Grimlock and Swoop scouted the vast underground tunnels underneath Cybertron and stumbled upon one of Shockwave’s old labs. What they found and accidently released were organic dinosaurs that matched the beast modes of each Dinobots. 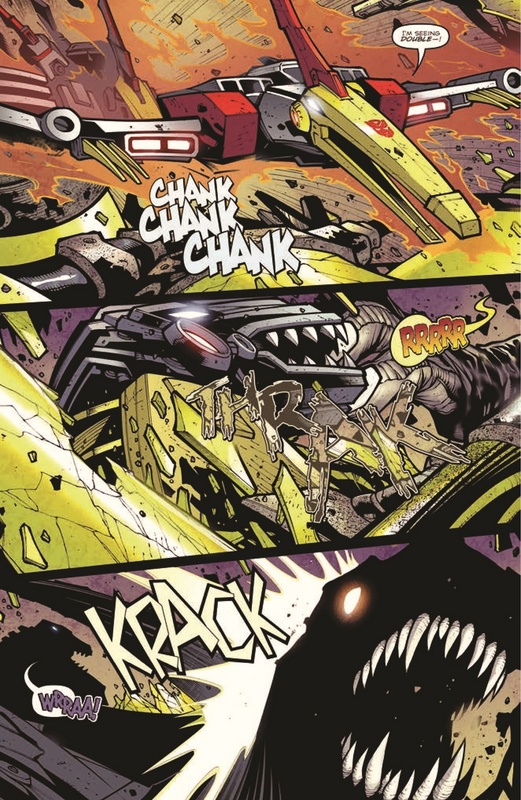 As Beast Hunters #4 picks up, Grimlock and Swoop continue to fight the organic dinosaurs. As the battle moves elsewhere, they discover that something is not quite right with these dinosaurs. Mike Johnson continues writing duties on the second straight issue, with story assistance from Mairghread Scott. Unfortunately, the story once again seems to be missing the heavy story elements that were prevalent in the first two issues when Mairghread had main writing duties. Again, there are several pages with just a few spoken words and a few with no words at all. Once again, this causes a quick read that seems over just after it began. No Decepticons were featured, so we now have two consecutive issues with not much more than cameos by a few cannon-fodder, unidentified Decepticons. Agustin Padilla continues on art with ink work by Jose Aviles. Priscilla Tramontano is on colors again, but aided by Josh Burcham and Thomas Deer. As with before, Agustin’s art struggles with capturing emotion. 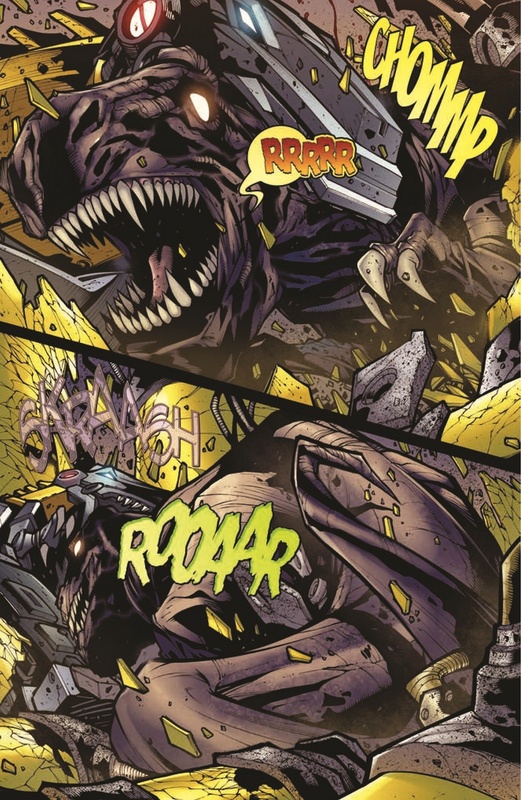 However, he does draw action well and the details on the organic dinosaurs were superb. 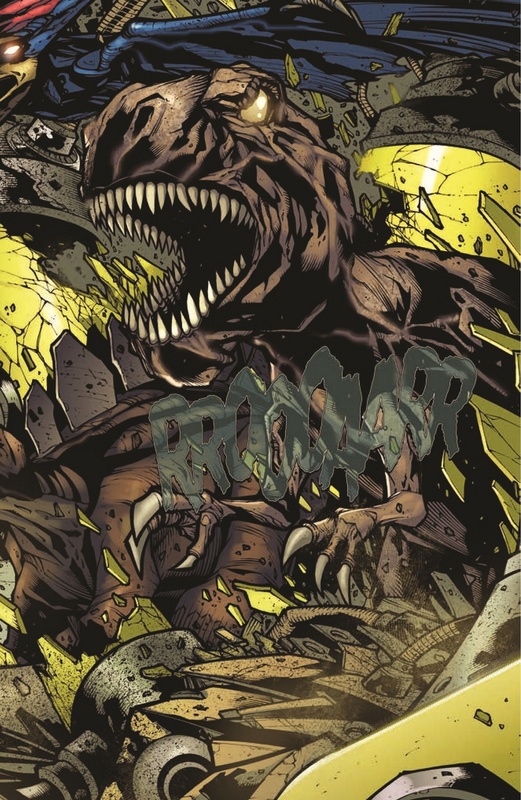 Colors were generally great (shading on organic dinosaurs), with the exception of certain “explosions” that seemed to be lacking in color detail. In last issue's review, I mentioned that Issue #3 had the potential to be redeemed if Issue #4 was handled correctly. Unfortunately, the payoff never did come. 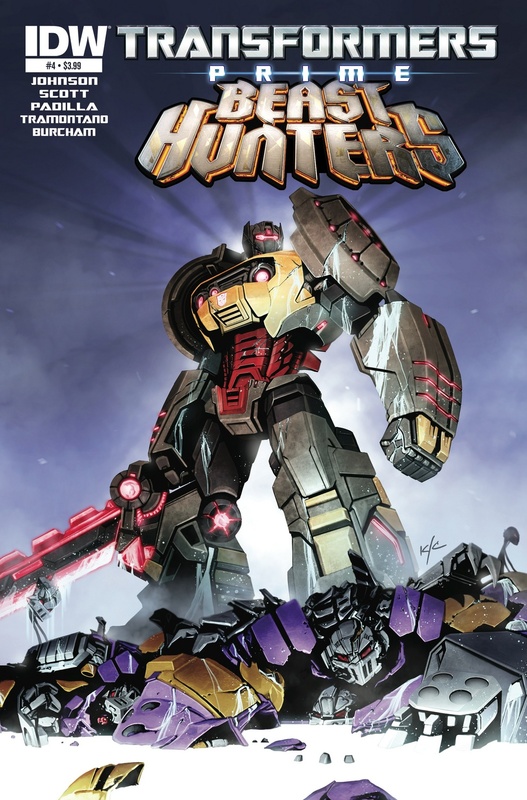 At this point, the hope is that Beast Hunters #5 segways into a new storyline and away from stories that don’t have a larger implication for the future of the Dinobots or Cybertron. We'll see.